On June 20, following the deliberations held at the Fondation Henri Cartier-Bresson in Paris, the jury of the 2017 HCB Award selected South African photographer Guy Tillim for his Museum of the Revolution project. His nomination was presented by Federica Angelucci, Stevenson Capetown & Johannesburg. Presented by the Fondation Henri Cartier-Bresson, the HCB Award of 35 000 euros supports the creation of a photography project which could not be achieved without this help. It is intended for a photographer who has already completed a significant body of work, close to the documentary approach. In Maputo, the capital of Mozambique, on the Avenida 24 Julho, there is an institution called the Museum of the Revolution. The avenue was named soon after the establishment of Lourenço Marques as Portuguese colonial capital the 24th July 1875 marked the end of a Luso-British conflict for possession of the territory that was decided in favour of Portugal. A hundred years later, the significance of this date took another turn, because July 24 became a national date and the capital of Mozambique was renamed Maputo. After 13-year civil war that ended in 1990, this day has now become the day when all the Portuguese properties have become those of the state. The People’s Republic of Mozambique became the Republic of Mozambique and, recently, the revolution of the Marxist state to a capitalist regime is complete. The colonial scene which is the backdrop of this revolution, the silent witness of these movements of aspiration, has become a museum itself. The colonialist narrative has been repeated in African countries in the past sixty-five years, with different names and dates, but the paradoxes and contradictions of the colonial and postcolonial years continue to proliferate and are perceived precisely in the streets and the avenues, often arranged with greatness of the colonial power, and renamed with independence. That post-colonial societies imitate certain aspects of colonial regimes is not unique in Africa, it is the law of history. However, the achievable hopes and news of recent generations who have not had a colonial appetite have been an opportunity for societies that overcome the wrongs of the past. Guy Tillim has already photographed the streets of Johannesburg, Maputo, Lunada, Harare, Libreville, Addis Ababa and Nairobi. 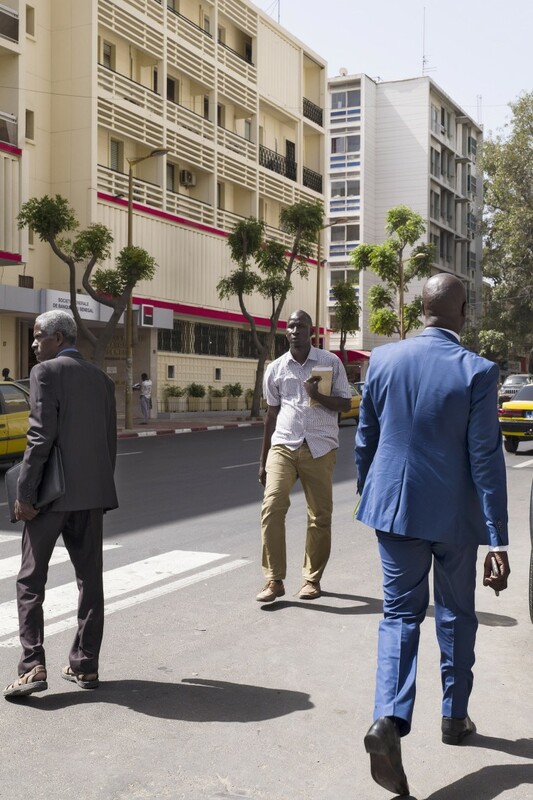 Thanks to the Henri Cartier-Bresson Award, Guy Tillim plans to continue his project in Dakar, Accra, Kampala and Lagos in order to complete and document these urban landscapes located in the midst of the realities of an African capital and inevitably referring to the prism of an African colonial past. 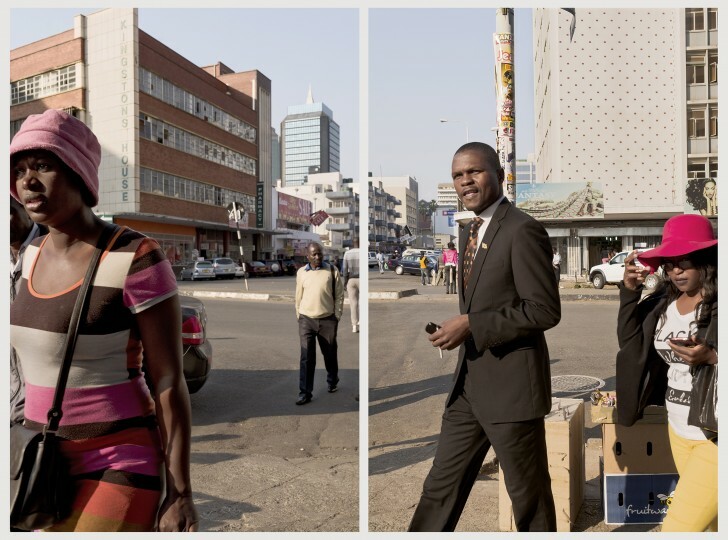 Guy Tillim was born in Johannesburg in 1962 and lives in Vermaaklikheid in the Western Cape. He started photographing professionally in 1986, working with the Afrapix collective until 1990. His work as a freelance photographer in South Africa for the local and foreign media included positions with Reuters between 1986 and 1988, and Agence France Presse in 1993 and 1994. Tillim has received many awards for his work including the Prix SCAM (Societe Civile des Auteurs Multimedia) Roger Pic in 2002, the Higashikawa Overseas Photographer Award (Japan) in 2003, the 2004 DaimlerChrysler Award for South African photography, the Leica Oskar Barnack Award in 2005 and the first Robert Gardner Fellowship in Photography from the Peabody Museum at Harvard University in 2006. Solo exhibitions have taken place at the Centre Photographique d’Ile-de-France, Paris; Huis Marseille Museum of Photography, Amsterdam; Fondation Henri Cartier-Bresson in Paris; Museu Serralves in Porto; the Peabody Museum at Harvard University, Cambridge, USA; FOAM_Fotografiemuseum in Amsterdam; Extracity, Antwerp; at Kunsthalle Oldenburg, Germany, and the Museum of Contemporary Photography in Chicago, among other institutions. His work was included on Documenta 12 in 2007 and the São Paulo Bienal in 2006, and the touring exhibitions Rise and Fall of Apartheid: Photography and the Bureaucracy of Everyday Life (2012-14) and Africa Remix (2004-7), among others. He is represented by Stevenson Capetown & Johannesburg.